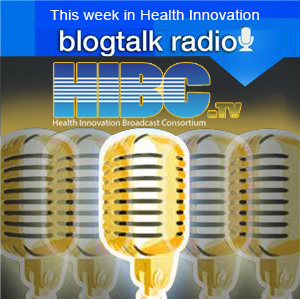 On the Thursday, February 28th 2013 broadcast at 3:30PM Pacific/6:30PM Eastern our next to last special guest in the HiMSS13 Countdown series is John Mattison MD, aka @JohneMattison, CMIO of Kaiser Permanente, Southern California. Dr Mattison began his medical career at UC San Diego and Scripps Clinic, where he practiced in many clinical settings including primary care, critical care, preventive medicine, hyperbaric medicine, trauma and helicopter medicine, and held several directorships while at Scripps Clinic, including Quality, Utilization, and Critical Care. He joined Kaiser Permanente in 1989, and was appointed as Assistant Medical Director and Chief Medical Information Officer in 1992. His interest in systems design began as a marine biologist when he created several software applications to model population behavior. He wrote his first electronic health record in 1984 and used fully automated medical records in his practice until the time he began a fulltime commitment to healthcare informatics. He has built, designed, or implemented seven different EHR systems, most recently KP HealthConnect. His team helped build and deploy the first highly scalable version of this system, which today stands as the largest private sector implementation of an EHR in the US. John was director of the largest regional deployment, encompassing 5,000 physicians, 140 clinics, 13 hospitals, and 2.3million members, but he is quick to identify his many colleagues within KP who have provided the support, the resources and the skills necessary for such a monumental achievement.